Urban Decay Delirious Travel-Size Set of 5 (5 x 0.03 oz.) retails for $29 USD ($39 CAD) and includes four new, limited edition shades. When taking the original pricing of these pencils into consideration, breaking it down, this set is a $75 USD ($90 CAD) value. 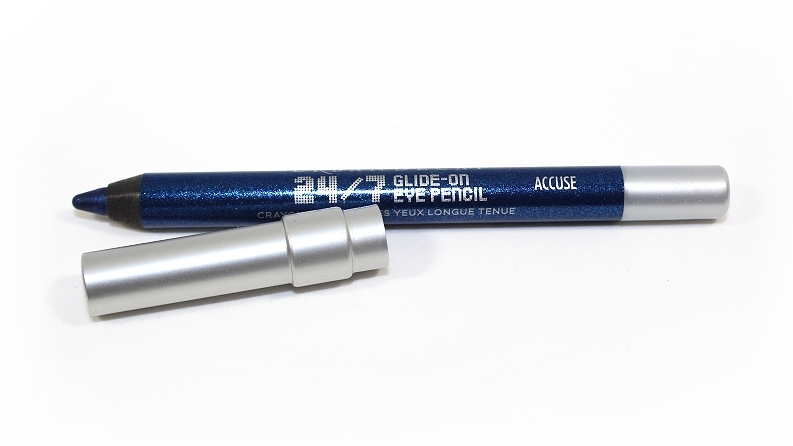 It is said to be "a limited-edition set of five travel-size 24/7 Glide-On Eye Pencils that range from neutral to bright shades." 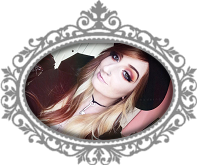 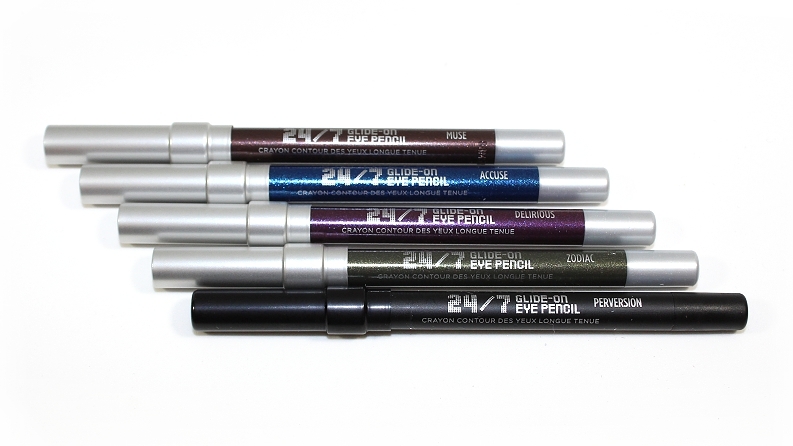 "The Delirious Travel-Size Set of 5 features five, travel-size 24/7 Glide-On Eye Pencils in vibrant shades and edgy neutrals. This set features four new shades, including a deep metallic purple and a bright metallic blue—plus, it comes with Perversion, Urban Decay’s blackest black hue. 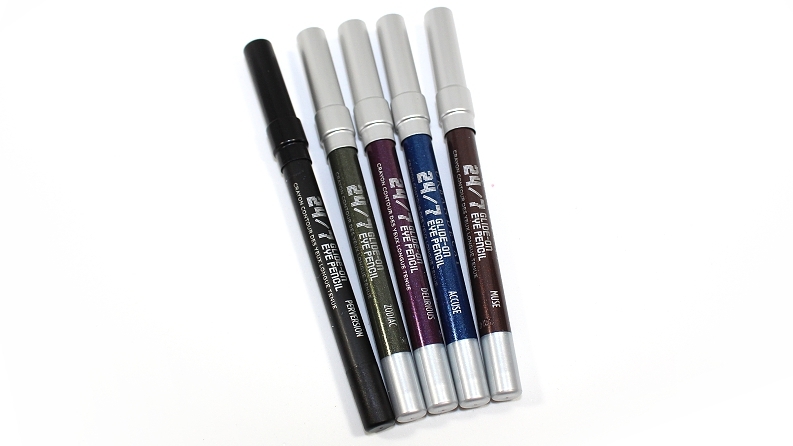 With this giftable set’s compact size, these pencils are perfect for giving way or using on the go, these liners deliver ultra-long wear and waterproof color. Formulated with jojoba oil, vitamin E, and cottonseed oil to nourish the skin, each creamy, award-winning formula glides on smoothly and dries down to a long-lasting, colorful finish." The packaging mimics the full-sized pencils in being color-coded depending on the shade. 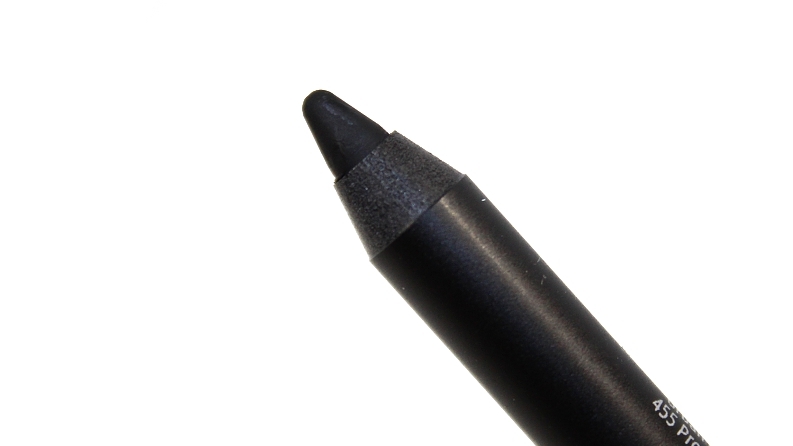 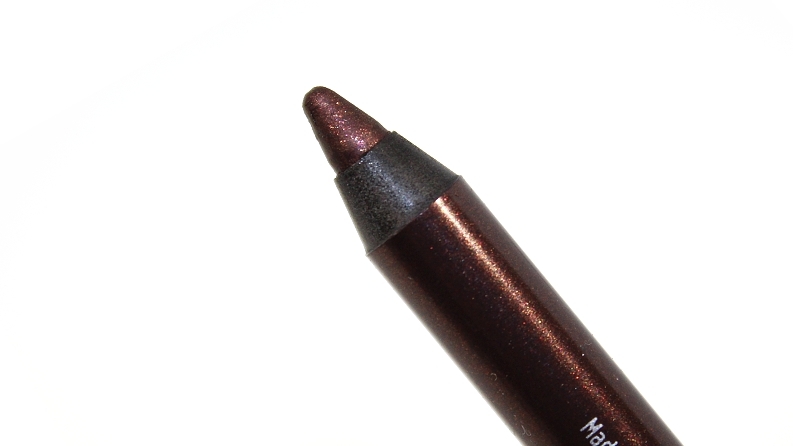 When applied they have a creamy texture that can be blended out easily and eventually set to become budge proof. 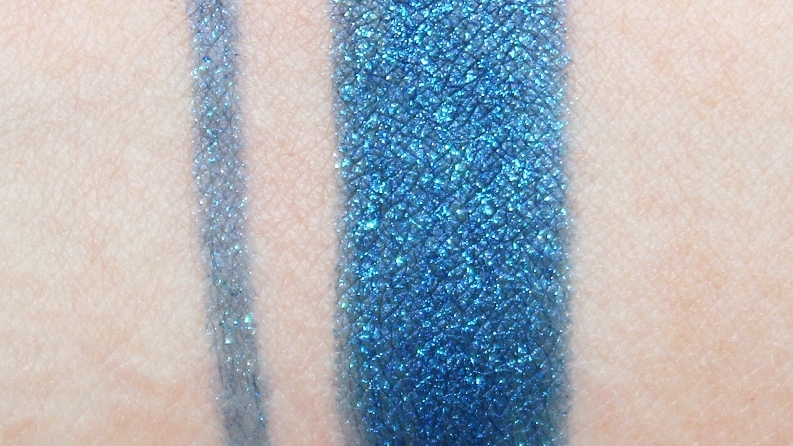 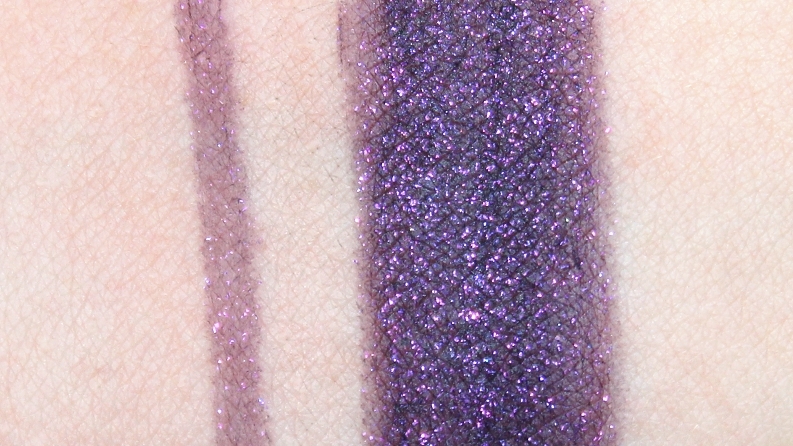 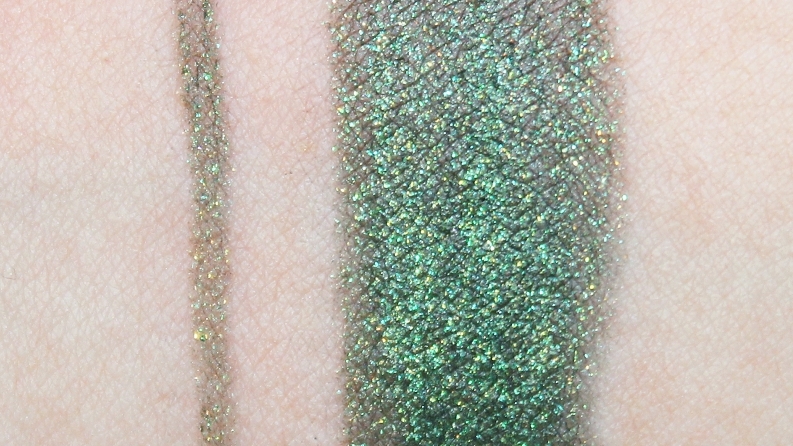 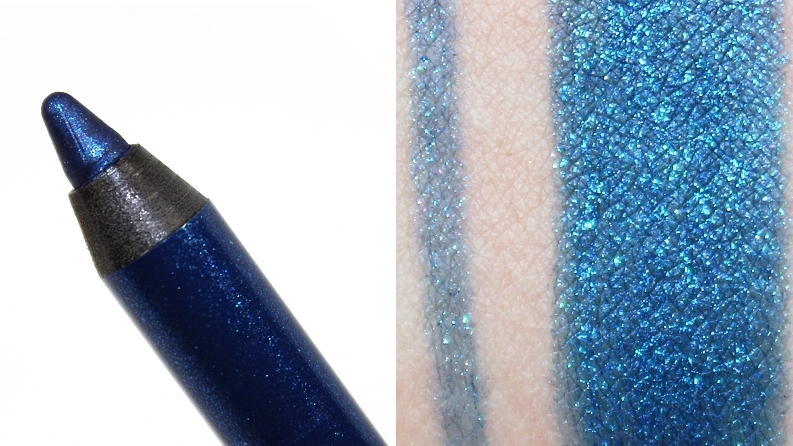 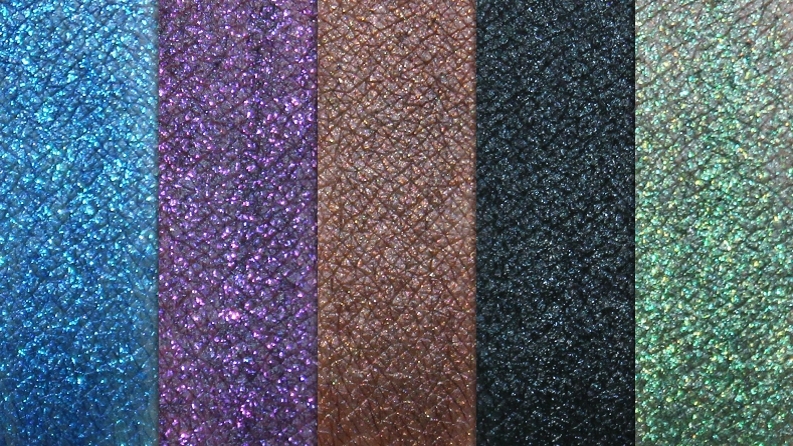 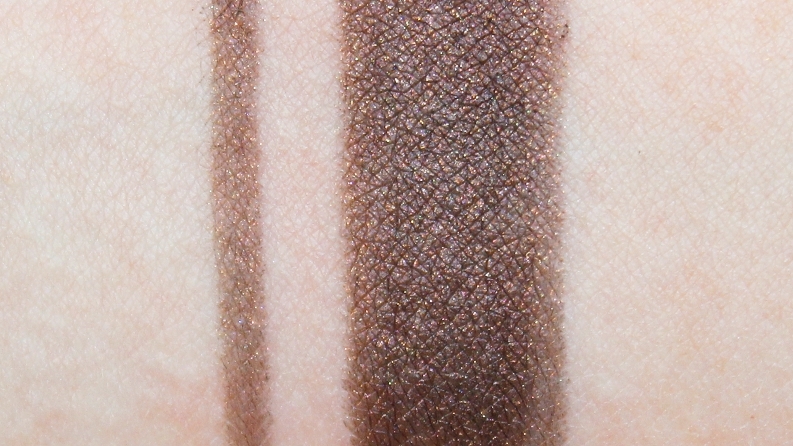 I noticed the more sparkly liners in this set had a thinner, more slippery consistency which caused them to apply quite sheer in a single pass and appear almost streaky at times once the product was layered and built to intensify the color. 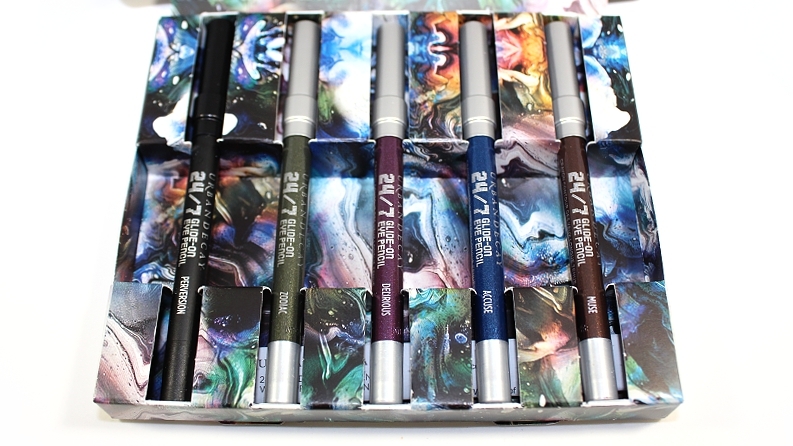 Overall, although the packaging and online images are rather deceiving (especially for the shade Zodiac) this was a good set regardless and for an absolutely incredible value—the travel sizes contain a mere 0.01 oz. 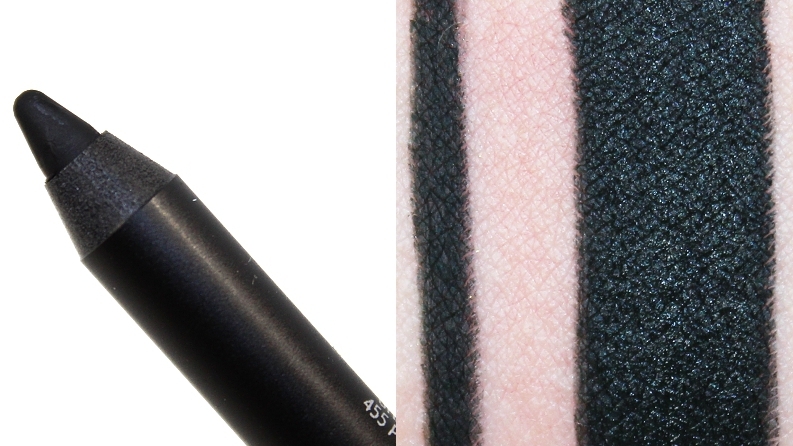 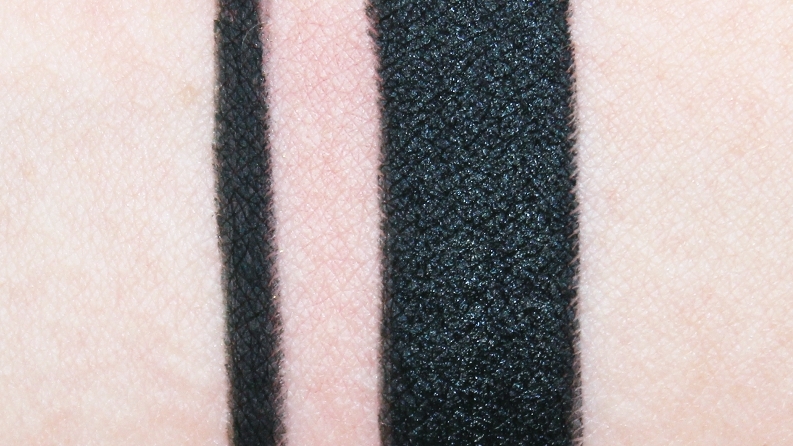 less product and you're getting to try five shades for under the price of two full sized pencils! 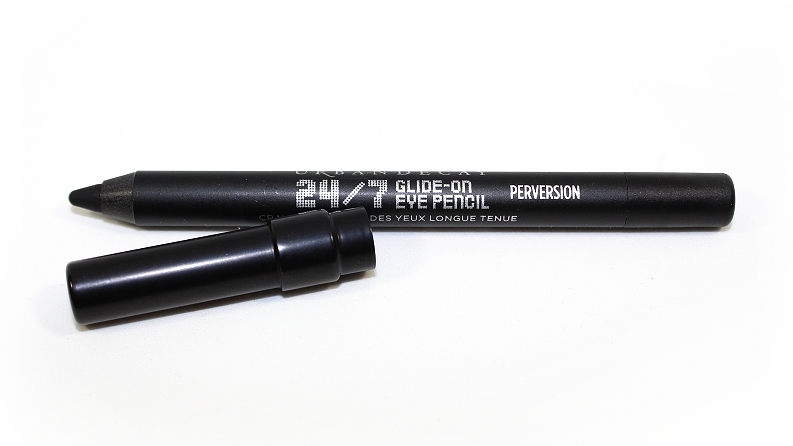 If you've been wanting to try out the 24/7 Glide-On Eye Pencils or you're just looking to expand your collection of colored liners, this set is worth checking out. Available now from Sephora.com & Sephora.ca for a limited time!